Tell NFL Foundation officials to stop funding cruel and wasteful experiments on animals and to instead support humane and relevant non-animal research methods. The NFL season has been underway only for a week, but PETA is already throwing a flag against the league for unnecessary roughness—against animals. Today, PETA released evidence—including shocking photos—showing how for years, the NFL Foundation has quietly funded horrific and deadly sports-injury experiments on dogs, mice, rats, and other animals at universities and private laboratories, including Harvard University, the University of Pennsylvania, and the University of California–Los Angeles. 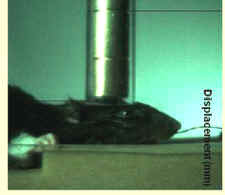 In these projects, many of which are ongoing, dogs are inflicted with severe knee injuries, after which they are killed and have their legs cut off; rats have heavy weights repeatedly slammed into their heads to create brain and spinal cord injuries and skull fractures; and mice have their heads cut open and crushing blows delivered to cause traumatic brain injuries. Bashing in animals' heads is wrong, and experts agree that these horrible experiments don't actually reflect the complex injuries sustained by football players.